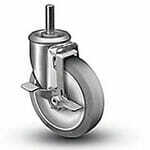 A caster is a wheel fastened with a mounting rig that is attached to a product in order to provide a mobility solution. 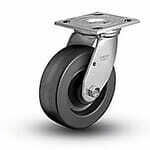 Keep your equipment rolling with the right casters. Garland’s Inc. provides an extensive inventory, from heavy duty steel casters to light duty furniture casters, to keep your furniture or equipment moving. Just take a look at what we offer to get you started. If you need assistance in choosing the right product, call us at 800.809.7888. We’re ready to hear from you, and all our employees are well-versed in the details of our products. Get started by choosing a caster below or give us a call.